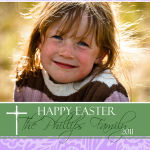 This is another quick post to show off some of the greeting card designs that I have available, this time for Easter. All of these designs are completely customizable; I can quickly change the colors, the fonts, and of course the text. 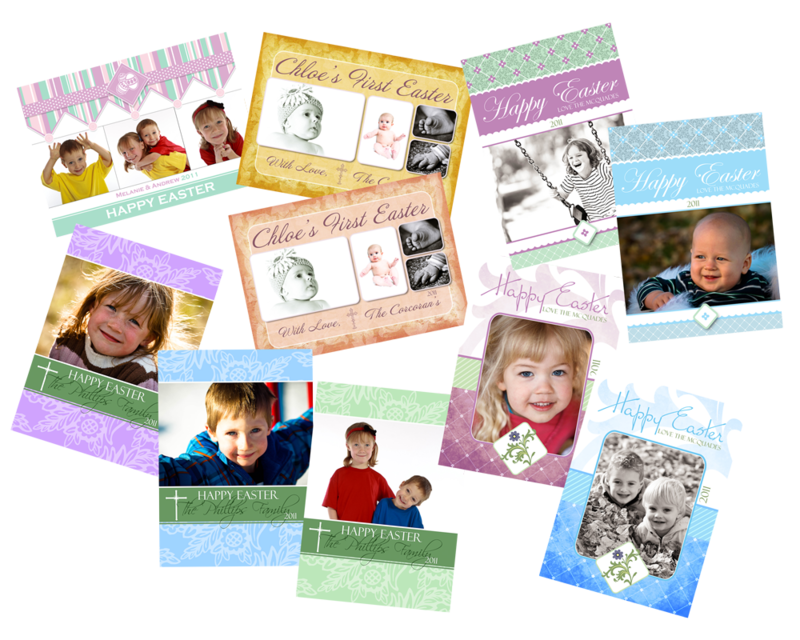 Alternatively if you have a specific idea for a card that you would like to send out I can create a custom design for you. 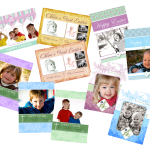 These great cards are a wonderful way to show off your images from a recent Baby or Children’s photography session, or for Family or Engagement photos, or even for a great holiday greeting for your business. 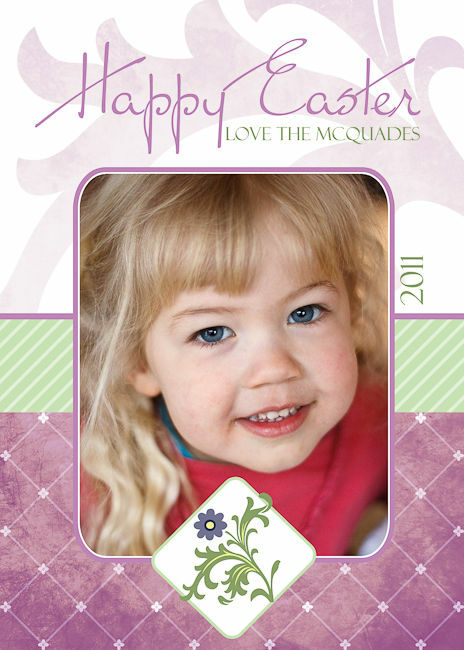 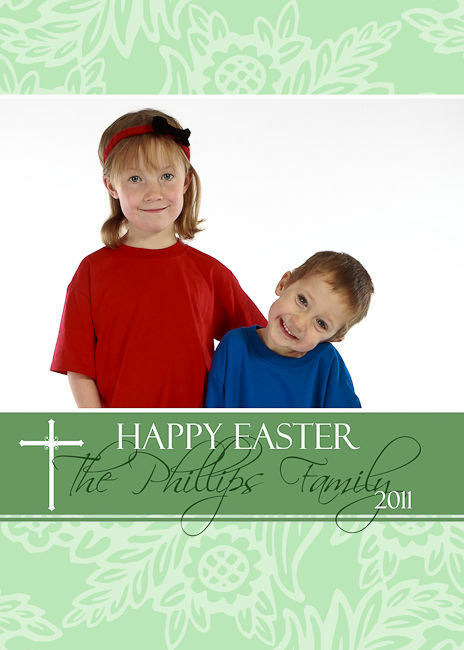 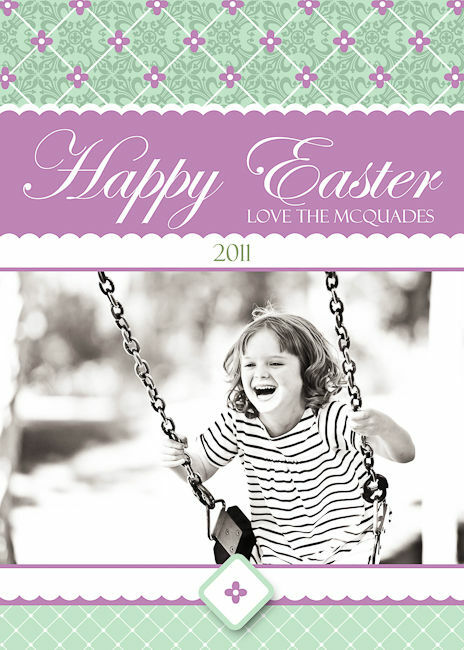 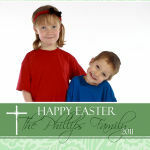 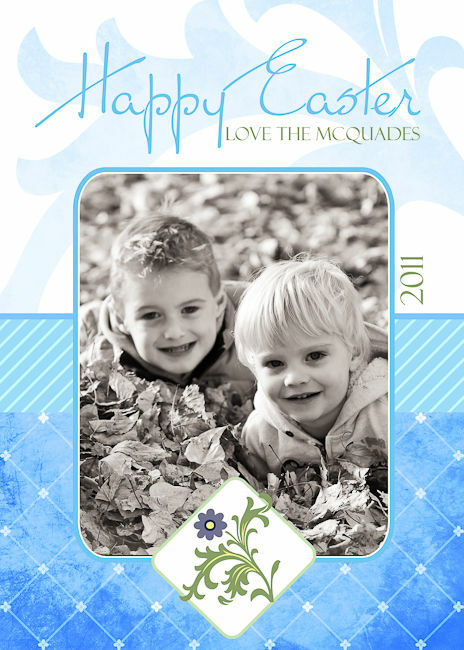 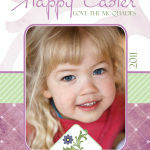 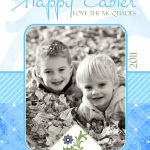 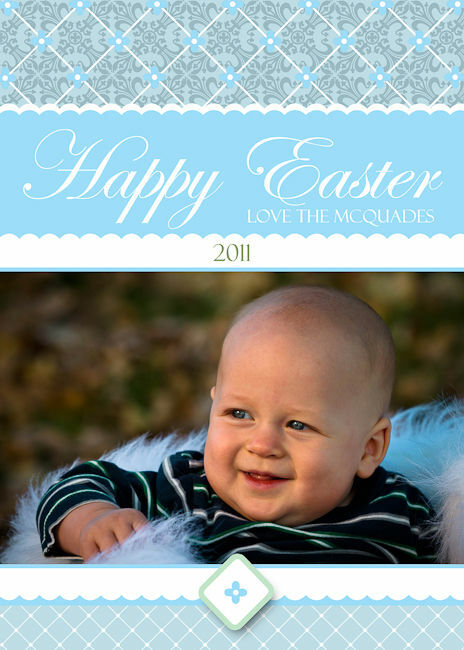 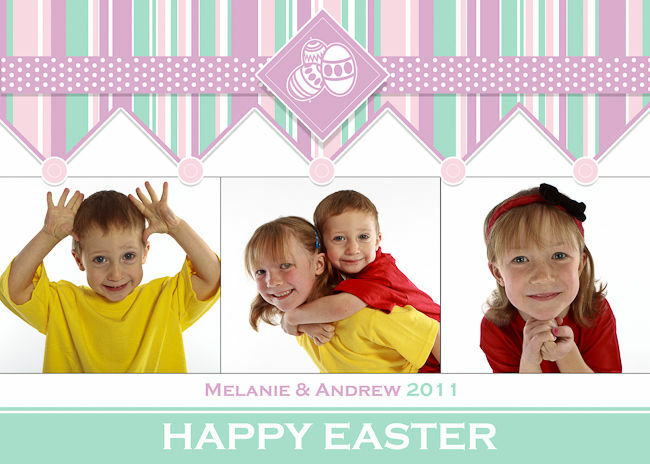 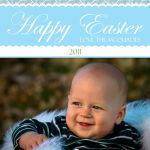 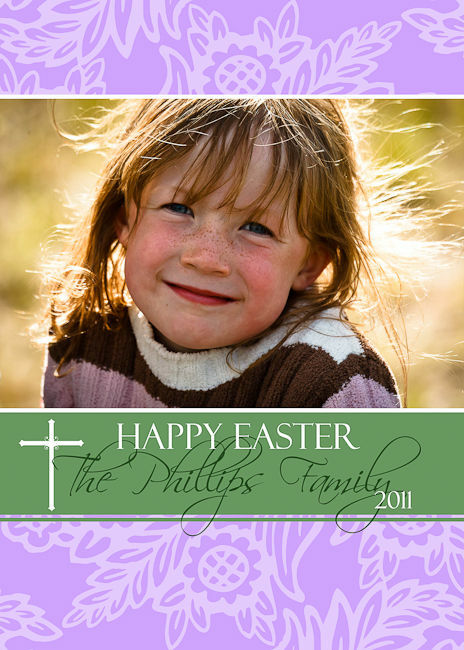 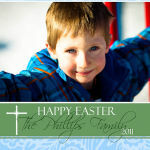 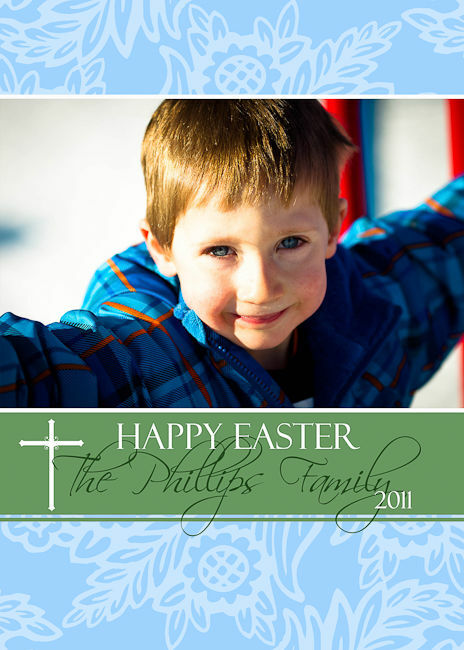 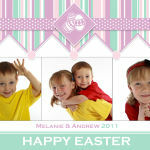 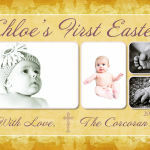 Online registration for our 2011 Easter Mini Sessions is now available! 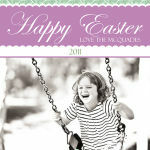 I also have card designs available for all the other major holidays (Christmas, Easter, Thanksgiving, etc. 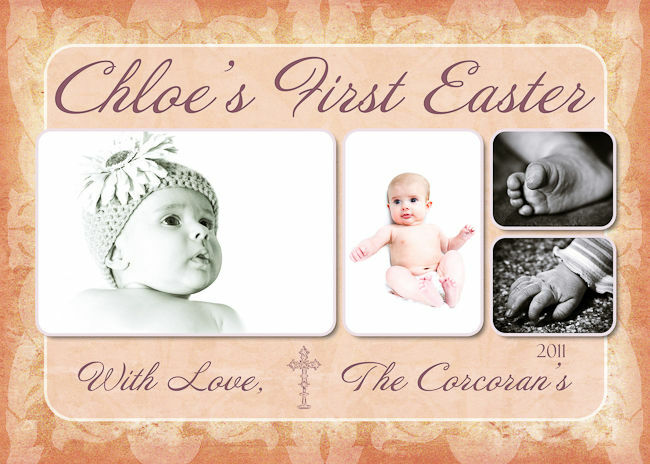 ), as well as for those special days in our lives like Birth Announcements and Birthdays. 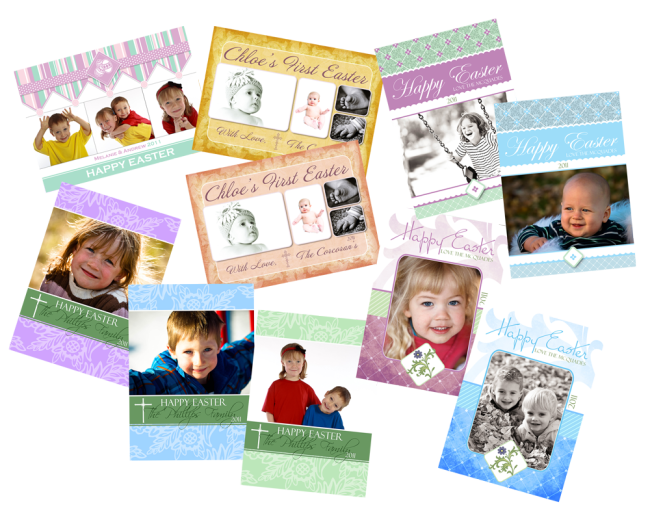 If you’d like to see some other greeting card designs for a particular event please let me know and I’ll do what I can to help you out.